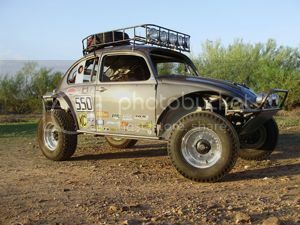 AzBaja.com, Home of the VW Baja Bug -:- Baja Forums -:- VW Volkswagen Bug, Baja, Bus, Sandrail and Thing -:- VW Volkswagen & Baja Bug General Discussion -:- BugZyla Fabrication still around? 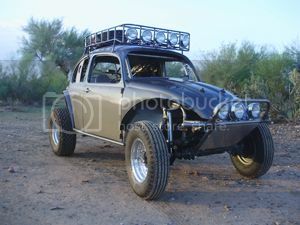 Baja Forums -:- VW Volkswagen Bug, Baja, Bus, Sandrail and Thing -:- VW Volkswagen & Baja Bug General Discussion -:- BugZyla Fabrication still around? Post subject: BugZyla Fabrication still around? Jim Graham here with Desert Dingo Racing - www.desertdingo.com . 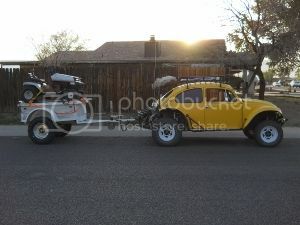 I was looking for a roof rack for my Baja Bug and found one I like on the BugZyla website here - www.bugzyla.com/roofrack.html . Unfortunately, their voicemail is full and they didn't respond to an email. Anyone know whether they're still in business? Dirt is for racing. Asphalt's just for getting there. Yep they are open... Just very busy from What I understand. Post subject: Re: BugZyla Fabrication still around? Contact Tim Bartell. Builds excellent racks for a great price. Projects and Builds BugZyla's Fast Back Baja "Dirtey Deeds"